I grow methi and sarson in my kitchen garden a lot. So using them always in my most of the cooking is obvious for me. That way family gets greens too free of cost. Lot many times I grow methi n sarson together to use mix of them. Most of it goes in parantha or kadhi making but this time I thought of using them in vadas too. 8- Red onions 1 big sliced in long thin shape. 1- Keep the oil for frying in pan on lowest flame. 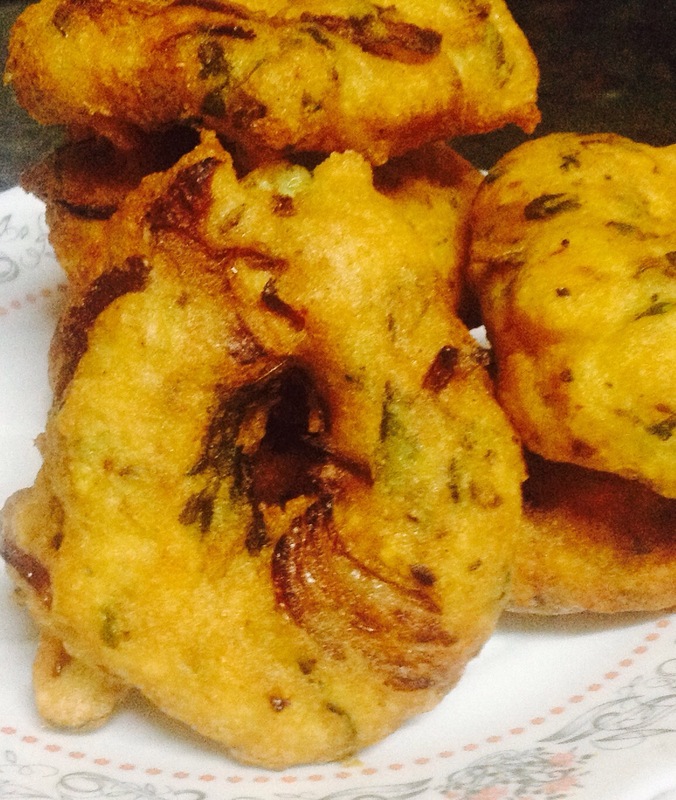 2- Grind pre soaked dal with green chillies,desi ghee, salt, black pepper in to thick batter. 3- Please do not use too much water as we need semi thick batter. 4- Take the batter in bowl and mix in heeng (asofoetida) and green saag. 5- Now wash your hand very properly and start mixng the batter in high speed. 6- Mix it for 3-4 minutes. Wipe your hands and water them. Now put batter loyi on hand n make a hole in it. 7- Drop it carefully in to oil pan. 8- Immediately take a spoon and from its backside make the hole little bigger in the dropped vada. 9- Drop 2-3 more vadas in the pan if space is there. 10- Fry from both side till golden brown. 11- Serve with onion tomato chutney or tomato sauce.